There is nothing prettier than a full moon and look, the zombies have gathered to celebrate it. 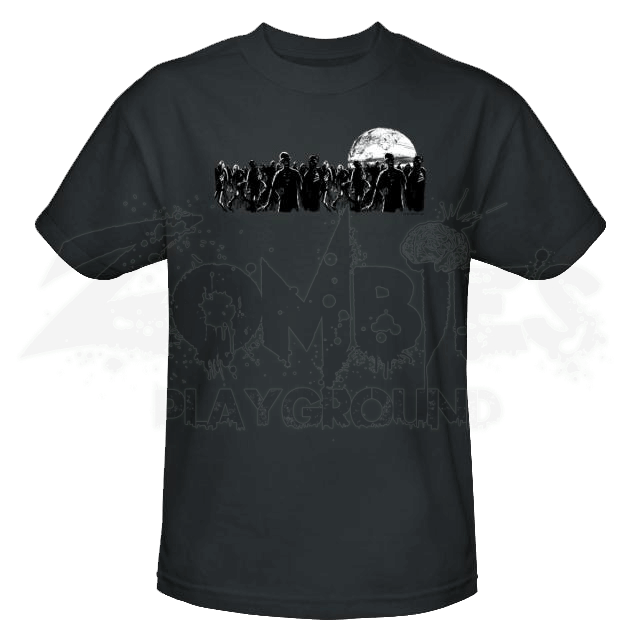 The Moonlit Horde T-Shirt features the creepy, shadowed silhouettes of a horde of shambling zombies, all lit by the pale, pristine glow of a full moon. This simple shirt is charcoal gray in color and quite comfortable to wear. 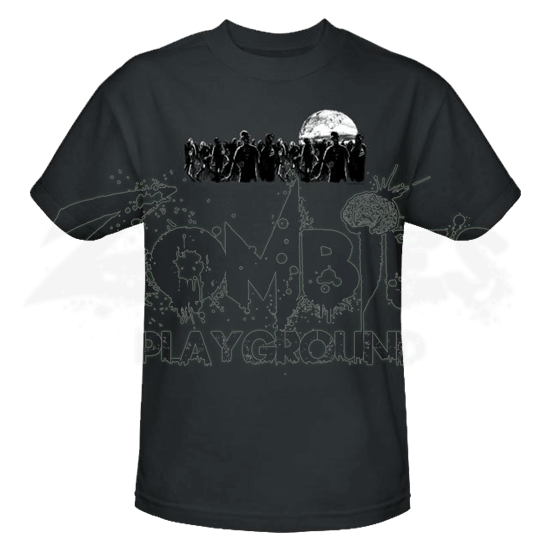 The main design printed across the chest of the shirt is a simple horde of zombies that is made up of zombies from all walks of life. Men and women, all zombified, shamble side by side, all united in undeath and driven by the same insatiable craving for flesh, blood, and brains of the living. The crowd is heavily shadowed, though, while behind the horde is the full moon, glowing brightly in the distance. This charcoal shirt is made from 100% cotton and features a standard fit. The Moonlit Horde T-Shirt is like a scene straight out of a horror movie, with the masses of flesh hungry undead overrunning the city at night, while the moon watches silently from above. Luckily though, this shirt does not devour flesh or brains. It just looks great and feels great when worn, making it an excellent addition to any zombie enthusiasts wardrobe.